World Vision funds $7.2 million per year to terrorist group allied to ISIS. 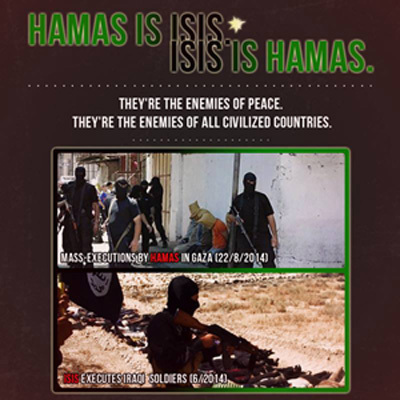 It is an urgent but sad matter concerning this braking news, this is a matter of importance that cannot be ignored and to question why is World Vision funding a terrorist group like Hamas, when it is known that Hamas has ties and alliances with the Islamic State (ISIS) or Daesh as it is called today, this news concerning Hamas alliance to ISIS was reported by the Jerusalem Post, it is even reported by Front Page Magazine that Hamas has allied with ISIS in the Sinai is supplying guns and bombs to ISIS. when it comes to these terrorist groups they would not give a single thought into killing an aid worker from World Vision and World Vision funds Hamas by giving 60 percent of World Vision’s annual budget for the Gaza Strip was diverted by Hamas to the tune of $7.2 million per year, lets face it World Vision stinks of hypocrisy there is no real excuse for this. HOW WORLD VISION FUNDS FOR PROJECTS AND FARMER’S PROJECTS WERE DIVERTED TO HAMAS IN VARIOUS WAYS: The money allocated by World Vision for projects and farmers’ associations reached Hamas in various ways, such as the false registration of Hamas terrorists as employees in charity-sponsored projects; issuing fictitious receipts and inflated invoices in which the difference paid by the charity was transferred in cash to Hamas; transfer of the charity’s checks to Hamas terrorists, etc. The investigation revealed that the main method used to divert money to Hamas was to put out fictitious tenders for World Vision-sponsored projects in the Gaza Strip. The “winning” company was made aware that 60 percent of the project’s monies were to be designated for Hamas. In this way, Mohammed El- Halabi ensured a steady flow of cash into Hamas coffers.